Equip your ultimate gameroom! 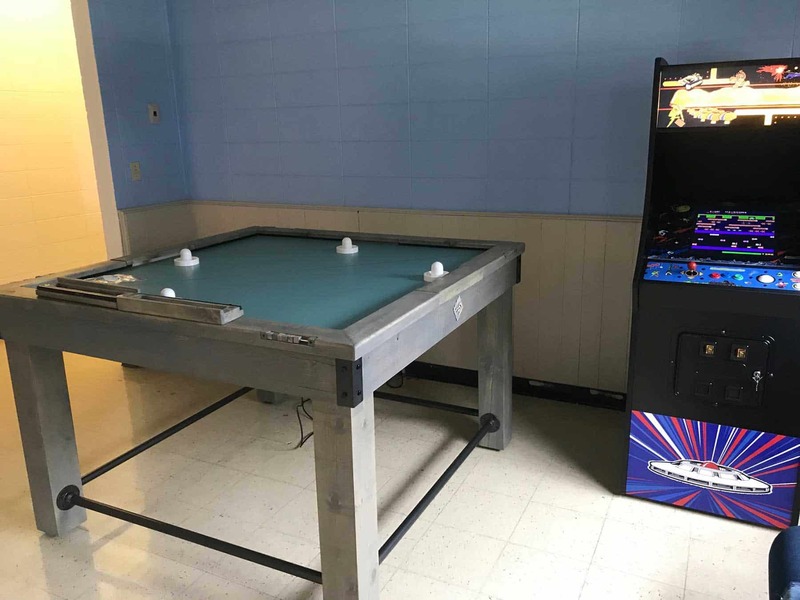 Pool, arcade games, dartboards, table games, all the furnishings & more! 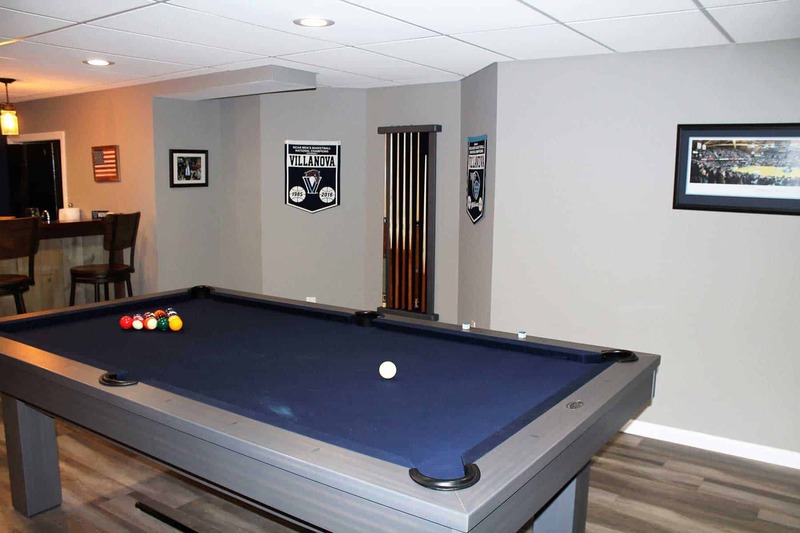 View some projects completed by Encore Billiards & Gameroom. These are some of the best spaces and rooms that inspire. Of course we offer monthly specials and discount offers. Check back often as our offers will change. You never know what you’ll find! Save a little extra with our always changing selection of “Previously Enjoyed”, floor model, scratch & dent and/or discontinued merchandise. 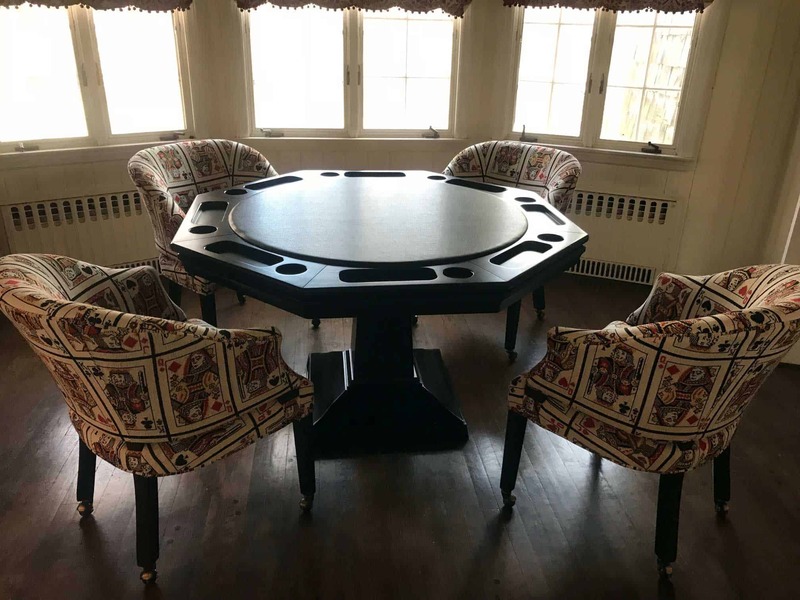 At Encore Billiards & Gameroom we say, “We Furnish Fun”. 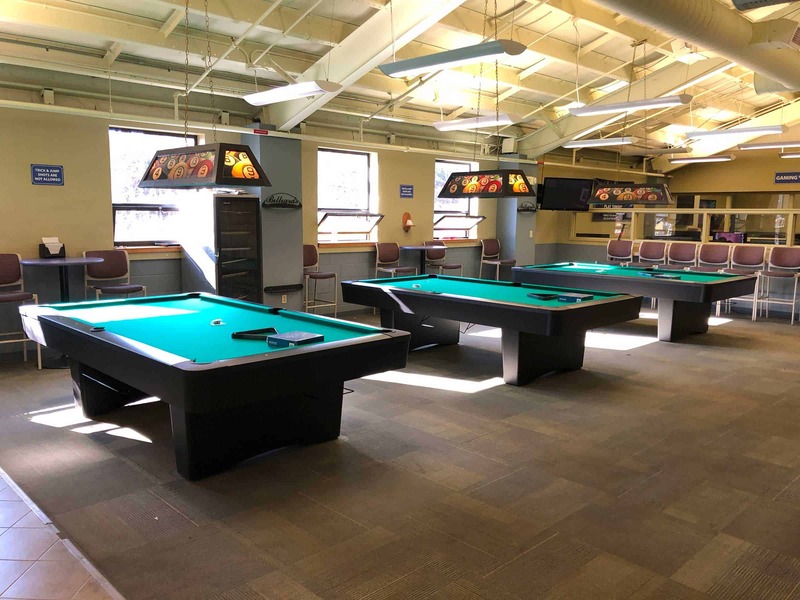 Encore Billiards & Gameroom is a family owned retail store, selling top quality recreation products to homes, schools and institutions. From the concept and design to delivery and project completion, carrying on the philosophy that Lynne’s parents, Sid and Muriel Abrams, set forth with The Recreation Showroom, we continue our focus on making sure your home or facility will be everything you hoped it would be. Choose any reason to gather people together and Encore will design a room with everything you’ll need. Encore is a family owned retail store selling recreation products to home, schools and institutions. Our family started in the business back in the 1960s. We offer top quality products and focus on customer service. We always give the best possible price. Many friendships have been made over the years, beginning with the sale. Our success stems from buying the very best manufacturers. American, whenever possible. This insures longevity in your entertainment room. We work with “conservative” budgets and “sky’s the limit” budgets. We also offer on-site design consultation. Where you choose to make a purchase is as important as the item you are purchasing. Encore Billiards & Gameroom is a family operated retail store in the industry for over forty years. We are very knowledgeable and are here to educate and assist you through out your purchase, big or small. We’re here to answer all of your questions and to offer ideas and suggestions while we stand behind everything we sell. Here you can see it and touch it, unlike on-line companies and catalog outlets. When you purchase an item you should feel confident in knowing you paid the best price for that item and it was exactly what you were expecting. Today there are so many gimmicks to draw the consumer in and think they’re getting a low price. For example, an item that really should sell for $4895.00 could never really be marked down to $1895.00. The company would lose money if this were really the case. Do you truly believe this is really possible? How about the “Today Only” or “Factory Direct” or “For this Weekend Only” ads? What happens if you don’t get there in time, does the price go up? Did they just increase the regular price, then discount that number so you think you’ve gotten the item on sale?